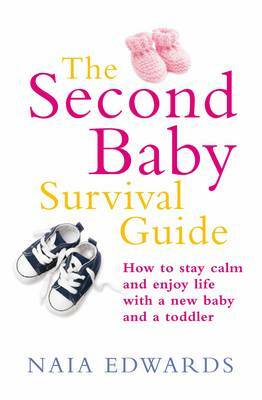 I was recently sent a copy of 'The Second baby A Survival Guide' to review. The first thing I'll say is that this book should come with a massive sticker saying 'BUY & READ BEFORE BABY ARRIVES' because being a second time mum doesn't leave you with any time to read anything other than the Gruffalo or Aliens Love Underpants. It's taken me weeks to read it but I've finally finished it - phew - and I think it's great. If your about to embark on your second journey in to parent hood then I can highly recommend this book - especially if your little one is still quite young. As you know Mister A is almost 4 and so some of the things like potty training didn't apply but I still took a lot from this book. It won't answer all your questions for you (hey parenting's not that simple) but instead will give you lots of hints and tips about how to do go about things like sibling jealousy, room sharing and how to introduce your child to your new arrival. It's a very well written and informative book and definitely worth a read for any potential 'second time mummies'!